Already a month, I didn't write on my blog, so sorry for that. I'm so busy with my work and new project and many plan in my head. 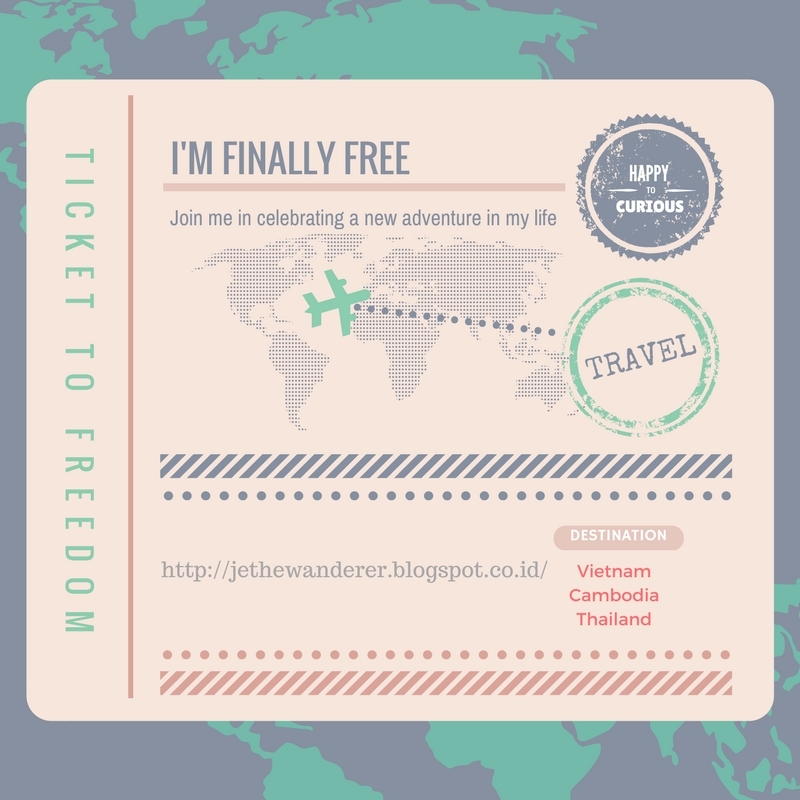 Ok, back to the topic, on this gloomy rainy day, I want to share with you about my backpacker plan. So, below the Itinerary list that I can share with you guys..but some places still in red highlight, because, I have no idea, do we have enough time to visit it or not. Direction : District 1, in 36 Ho Tung Mau Street, District 1, Ho Chi Minh City. Join One day trip Mui Ne by jeep, usually we can find it on tour travel along Nguyen Dinh Chieu street. trip schedule : 08.00 am, 01.30 pm (trip 4-5 hours). About afternoon we should arrive at Ho Chi Min again. Then, we have to get night bus to Phnom Penh, Cambodia. Arrive this city around noon, so we have to look for bus to go to Siem Reap, Cambodia. 2.00 AM Siem Reap – Bangkok. Arrive at country border and immgration arround 7.00 AM. Arrive Bangkok estimates at 12.00 PM. Note : Find ticket for travel to Bangkok in the early morning. Ticket can be found at Blosming Hostel with price about $17 (Price list from tour agent about $21). Direction : Pickadaily, Address: Sukhumvit Soi 77, between Onnut Soi 37 and Onnut Soi 39, Bangkok. Use BTS : stop at On Nut Station and continue with Taxi or tuk tuk to Sukhumvit 77 Road. Direction : at Kaset-Nawamin Road, Bueng Kum District, BangkoK. Naik Uber / Taxi dari Chatuchak ke Choco Village sekitar 76 baht. Use BTS/MRT to Mo Chit Station , exit number 3 , down the stairs, find A1 Bus Stop (30 Baht). Use Taxi about 300 baht. Hope it helpful for you guys !!! 8 Potret Busana Hamil Tua ala Duchess of Sussex, Meghan Markle. Simpel tapi Elegan Maksimal! - Hamil tua bukan halangan tampil gaya. Intip inspirasinya dari Meghan Markle ini yuk!